In the summer of 2007 the documentary Who Is Harry Nilsson (And Why Is Everybody Talkin’ About Him?) saw a limited engagement (read: single viewing) at the Egyptian Theatre in Hollywood. I was fortunate to be in attendance, and for the next three years kept an eye out for a wider release and/or DVD distribution. In 2010 both of these things happened. Below is our thoroughly enlightening conversation with filmmaker John Scheinfeld. Aquarium Drunkard: I know this film had been underway for years and you had been working on other projects throughout (The U.S. vs. John Lennon, etc). What was the impetus of the project; how did it initially get its start? John Scheinfeld: I’d been a fan of Harry’s music since my freshman year at Oberlin College when I played his music on my morning radio show. A few years ago Lee Blackman, Harry’s good friend and long-time attorney, had approached me about doing a documentary about Harry. I was intrigued, but knew very little about his life. So I started researching and the more I read, the more I became convinced that this was a remarkable story that had to be told. It has an extraordinary richness and texture — Harry’s career was as complex, exhilarating, maddening and inspiring as the man himself — and I felt it would make for a powerful and highly emotional film. AD: I caught a screening a few summers ago here in LA at the Egyptian Theater. The audience ate it up. Were there many screenings of the documentary prior to 2010? John Scheinfeld: We screened a work-in-progress version of the film at the Santa Barbara, Seattle and Mods and Rockers film festivals to great acclaim in 2006. Journalists, reporters, music writers and critics were poised to write reviews and feature articles about the film and Harry. The nearly 10,000 people on the movie’s MySpace page chatted about the film endlessly, clamoring to see it. However, issues involving the use of Harry’s master recordings in the movie that the filmmakers had no reason to anticipate emerged unexpectedly and delayed release of the film. Happily, everything was finally resolved, but several years had been lost. I contacted many distributors in search of a company that would be as passionate about the film as everyone involved in making it. And then I connected with Richard Lorber of Lorber Films (now Kino Lorber). Richard loved the film and had no intention of letting anyone else put it into the marketplace. A deal was struck and the film premiered at the Cinema Village in New York and eventually was seen in theaters across the country. AD: In terms of the film getting a wider release, what were the major obstacles you ran into? John Scheinfeld: The major obstacle was screen time. Meaning that theaters are booked months and months ahead and documentaries are in not as much demand as narrative films. So it was a question of getting theater bookers to believe in the film. This was accomplished through Lorber lobbying the theaters as well as the bookers seeing the box office figures from New York and LA as well as the overwhelmingly positive reviews it received. We also had a short window between when theaters would play it and the release of the DVD (we didn’t want to miss Christmas 2010) so that made it even tougher. AD: The film’s reception has been fantastic. Did you have any idea the amount of Nilsson fanatics and devotees that would come out of the woodwork? John Scheinfeld: Yes and No. I always believed that while many people didn’t know Harry’s name, they did know his music. And those that knew both the man and the music are totally devoted fans and so it wasn’t a surprise that they would find the film. As filmmakers, we sit in small, dark editing rooms for months at a time hoping that we’re doing good work. But it’s not until a film is let loose in the world that we truly know how it will be received. And with WHO IS HARRY NILSSON…? six years in the making it’s especially gratifying to see the reaction displayed by you and so many others. This seems to have touched people in a way that no previous film of mine has done. This makes me very proud. AD: The score of the film features a lot of instrumental beds of Nilsson’s songs. Was it a challenge to track these down? John Scheinfeld: Thank you for noticing! I felt it was essential that all music in the film be Harry’s. The film has wall-to-wall music, more than 60 songs spanning his entire career. There is classic Harry, unreleased Harry and rare Harry. All of Harry’s biggest hits are included, as are some lesser-known but equally powerful compositions and several unreleased and demo tracks. As in all my films, I employ the music to propel the story line forward, to comment on what’s happening on-screen, or to provide a window into what Harry might have been thinking or feeling at a given moment. Never did we just include a song to include a song — there’s a reason for every tune and lyric to be where it is. As for the “instrumentals”… with the generous support of Sony Music…I flew to New York to work at the Magic Shop (a terrific recording studio on Crosby Street in Soho). The idea was to take more than two dozen of Harry’s original album tracks and strip off the vocals leaving the original backing track that could be used as the score for the film. Rob Santos of Sony was in the studio with me and owner/mixer extraordinaire, Steve Rosenthal. It was definitely an eerie experience listening to Harry’s studio chatter and working with music he had recorded decades before. Over an intense 2-day period, working nearly 15 hours-a-day, we listened to each song from start to finish and Steve would analyze the track separation. As the recordings spanned the years 1967 to 1977 the instrumentation and vocals could be spread across 4, 8, 16 or 32 tracks. He and Rob would then determine the best way to remove the vocals and still maintain the artistic integrity of the track. Certain performances, we discovered, were actually much longer than the released versions, having been faded during the mastering process. These tracks Steve mixed at the full length so we would have the maximum amount of music to use. In others we discovered terrific solo playing that had been buried in the original mix or simply not used (“Mourning Glory Story,” for example, had a gorgeous horn part that we started referring to as “that Gershwin thing.”). On others, as in the case of “I’ll Never Leave You,” we took the separate harp and woodwind tracks and created a new version of the song that was quite moody and emotional and perfect for where I wanted to use it in the film. As originally produced by Rick Jarrard, Richard Perry, John Lennon and Harry himself, these recordings possess extraordinary beauty, poignancy, energy, pain and humor, every mood and feeling that we needed to create a powerful score for all aspects of Harry’s life story. AD: You landed some heavy hitters in terms of interviewees (Dustin Hoffman, Yoko Ono, Robin Williams etc). Their excitement was palpable and they all seemed to be brimming with stories. Did you have to leave a lot of great Nilsson stories and anecdotes on the floor? John Scheinfeld: First, this was the very first doc made about Harry, so it wasn’t as if our “cast” had been hit with countless requests to do interviews about Harry. One thing that struck me during the making of this film was that everyone talkin’ about Harry really and truly loved him. They loved him for what he was…and for what he wasn’t…and it is that love that prompted so many people to want to be in the movie. That love is evident in every word they speak which is why, I think, so many people have said they found watching the film to be such an emotional experience. Second, because their love for him was so great…and they felt that he was deserving of such a film…they were truly happy to participate. In many ways, getting such heavy hitters (Micky Dolenz, Terry Gilliam, Danny Hutton, Eric Idle, Al Kooper, Randy Newman, Yoko Ono, Van Dyke Parks, Richard Perry, The Smothers Brothers, Jimmy Webb, Paul Williams, Robin Williams and Brian Wilson) to agree to sit for interviews was easier on this film than for most others I’ve done. Yes, there was a tremendous amount of interview material that didn’t make the film. This is why God invented DVD bonus material. The DVD of WHO IS HARRY NILSSON…? features 90-plus minutes of bonus material — another movie’s worth! There are many deleted scenes, a few extended sequences and the original ending. AD: How involved were Nilsson’s family and former associates involved (if at all) in the project? John Scheinfeld: Our biggest supporter was Harry’s widow, Una. The film would not have been made without her blessing and participation. She very graciously allowed me to come out to her house and rummage through her drawers, closets, attic, basement and garage in search of material and memorabilia to include in the movie. We found so much cool stuff, including photos, video and film that had been seen by no one outside Harry’s family and inner circle of friends. It was during this time that we discovered that Harry, in the last few years of his life, had started recording his memories on cassette tapes for what he intended to be an autobiography. Although he passed away before he could finish that project, we were able to locate those tapes and, with the blessing of Una and Lee Blackman, we were able to use lengthy excerpts in the film so that, in effect, Harry is telling his own story in his own words. It was like striking gold! I’m also in touch with many of Harry’s kids. They are all very excited and supportive of the film. Annie and Olivia joined us for the New York theatrical premiere. When we opened in LA, Una came with all her boys — Beau, Ben, Kief and Oscar. And coming in from Las Vegas was Zak (who writes regular about the film on his Facebook page). I really enjoy spending time with all of them. AD: I know you had originally envisioned a different ending for the film, tonally and otherwise. Can you tell us a bit about that? John Scheinfeld: No, it was an instinctive thing — I wasn’t happy with the first ending and decided to go in another direction. But I wasn’t sure I’d made the right decision until the first screening at Santa Barbara. When Mark tells the story you could hear as laugh building and building until it rippled through the entire theater of 750 people. We definitely made the right decision. I thought it would be interesting for people to see the original ending, so it’s included with the bonus material on the DVD. AD: Thanks, John. And, if you would, leave us with your favorite Harry tune. John Scheinfeld: It’s nearly impossible for me to choose just one song from such an amazing and diverse body of work. But if pressed I would say “1941” because of the raw and powerful emotion it contains and conveys. I’ve been anticipating this film for years, and now, finally, it’s on DVD, and just as great as I thought it would be. What a terrific film about a really interesting guy. I became a big Nilsson fan in the mid 90’s when I was a DJ at a college radio station. They had made the conversion to digital some time before that and just basically gave away all their vinyl. I snagged a copy of Nilsson Schmilson. I was blown away. I had heard most of the songs on it. I just never realized it was the same guy. It was my favorite record to pull out at parties because of that reason. Putting on side 2 always got a groan or a snicker because it started with “Without You.” Next. “Coconut” would come on and someone would remark how they say Muppets singing it when they were growing up. Then “Jump into the Fire” would come on. Some one would recognize the opening from “Goodfellas” and by the end they would blown away as I was wondering who the hell this Nilsson guy was and why this album was so neglected in music criticism. This documentary is great to show his place among his peers. Thanks for posting the interview. discovered this film thanks to AD and was really impressed. a really well-made docu about an amazing talent. the only thing missing was hearing from ringo & paul, but it’s completely understandable that they weren’t available for interview. I’m a Dutch Nilsson fan since I first heard Everybody’s Talkin’. My first album was Nilsson Sings Newman. When I was in Berkeley in 1973, I bought a copy of this album for my friends. They had heard of both Nilsson and Newman, but were struck by the sheer beauty of both the songs and Harry’s singing. In 1976 I returned to the US and intended to meet Harry for an interview for a Dutch magazine. The RCA people told me he had just left for the UK, so it didn’t happen. Many years later I met Van Dyke Parks, who recalled his work with Harry in the early/mid Seventies. He was still impressed by this experience. I have never stopped playing Nilsson, and promoting his work to my friends. The reissues of his albums to me were / are events. The DVD is as perfect as a documentary should be. It is made with an eye for the facts, the greatness of Harry’s artistic legacy, and a deep admiration for what he has accomplished. To his fans, Harry was already immortal. This documentary confirms everything we fans always felt was missing: wide recognition. This interview adds to the enjoyment of the documentary, and prompted me to watch it again – and again. It shows that it requires true dedication and commitment to both the goal of creating a monument for Harry, and the undying love many of his friends, family and associates still feel and express. Vi el documental sobre Harry Nilsson en el In-Edit Barcelona Festival en noviembre de 2010 y es una pelÃ­cula fantastica. Nilsson fue un artista Ãºnico y fabuloso, y el documental muestra por igual su gran talento como su desinterÃ©s por permanecer en la primera divisiÃ³n de la fama y del exito profesional. Espero que el documental se edite pronto en dvd en Europa. I saw the documentary on Harry Nilsson in Barcelona In-Edit Festival in November 2010 and is a fantastic film. Nilsson was a unique and fabulous artist, and the documentary shows both his talent and his selflessness by staying in the premier league of fame and professional success. I hope the documentary will be releases soon on DVD in Europe. Heard a fantastic harmonious duet sung by Harry Nilsson and John (Lennon) at a friend’s house in Montreal during the 1980s (not sure when it had been recorded because Jidi has an extensive musical library spanning mulitple decades) but am at a loss to find a copy or even know the name of the song. Anyone with information regarding the awesomely and hauntingly beautiful duet of those two awesomely talented musicians and composers would be greatly appreciated. Have lost proper contact with Jidi but would love to know and hear the tune again. Anyone who can help me find it shall be greatly appreciated. I heard about this film from a friend and haven’t been able to get my hands on it anywhere! Thanks for sharing this interview, it was so good to hear about the process. Makes me more determined to find and watch it! 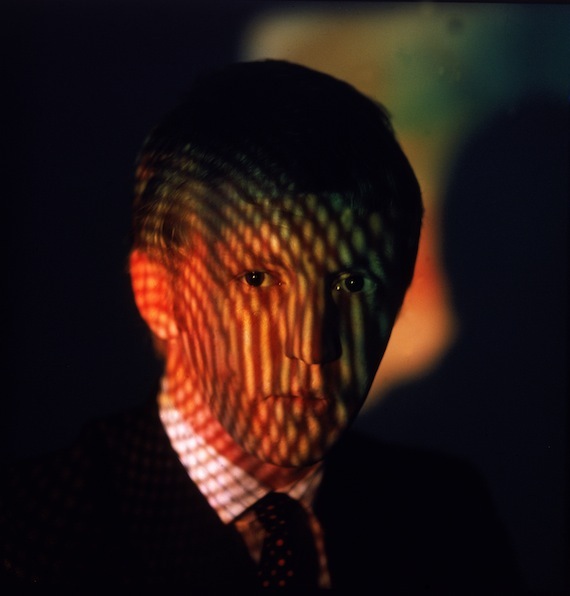 Pingback: Aquarium Drunkard » Who Is Harry Nilsson And Why Is Van Dyke Parks Talking About Him?